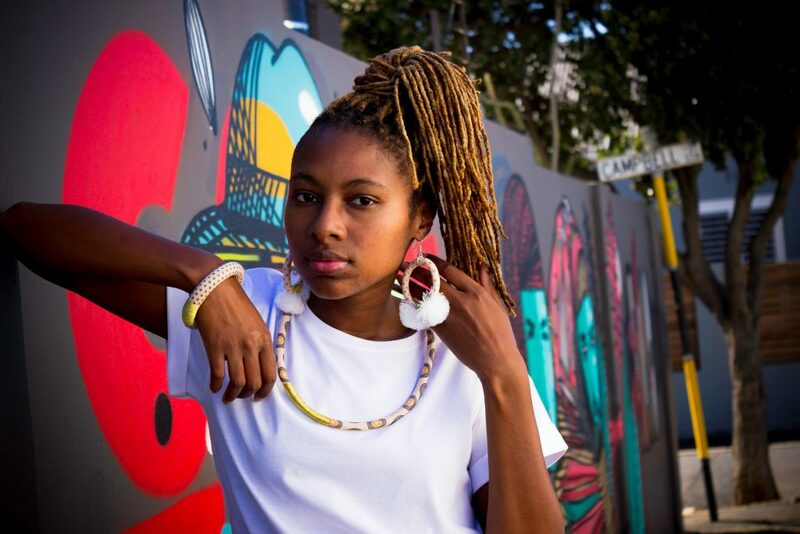 FEMtrepreneur: Thandie Daniella Dowery – Founder and Creator of Nomi Handmade Jewellery – Word Couture Co.
To bring the beauty of traditional shweshwe fabric to the forefront of modern jewellery design, Thandie Daniella Dowery left her day job in pursuit of her creative dreams. 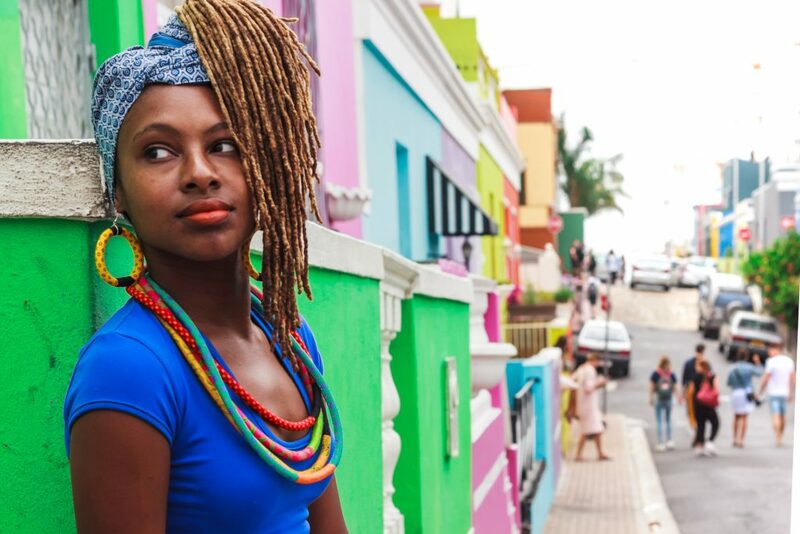 With the launch of Nomi Handmade in 2015, this vivacious and passionate FEMtrepreneur singlehandedly runs her business processes from design and manufacture to marketing and sales. 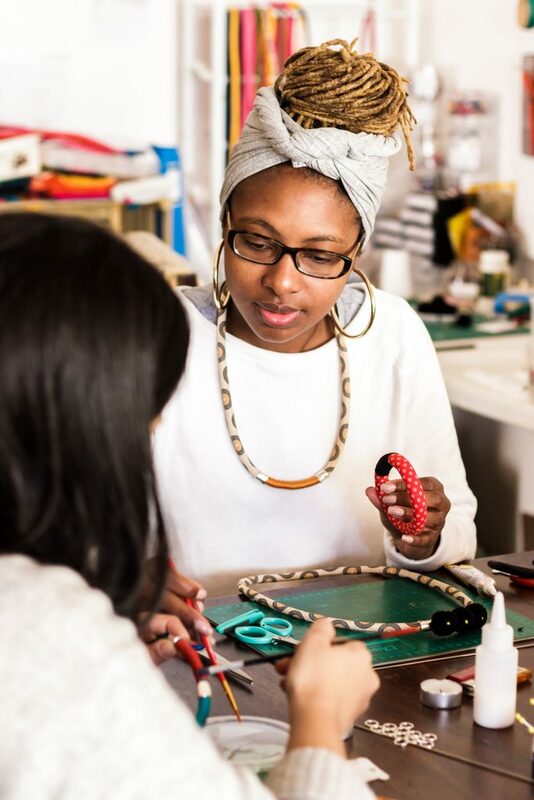 If that isn’t enough to keep her busy, Thandie also finds time to generously share her skills by hosting jewellery-making workshops for anyone looking to do something unique, fun and challenging. 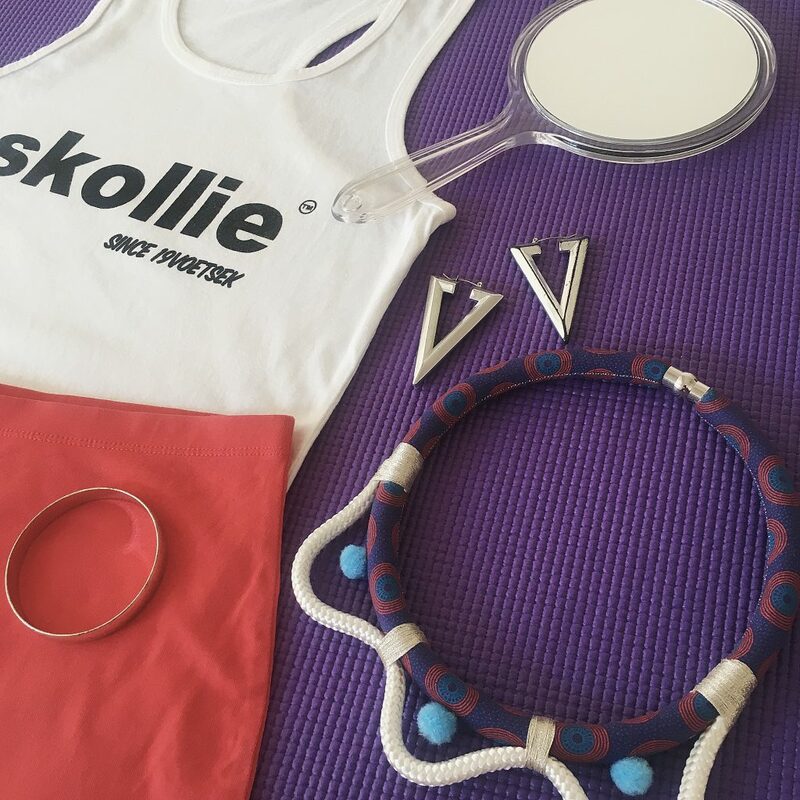 She shares her exciting entrepreneurial journey with us from her studio in Cape Town. My mom. My sister. And a strong desire to get out of the 9-to-5 life. Where does your love for designing jewellery come from? It started out more as a coping mechanism than out of sheer love. When my mom passed away in 2012, I needed some sort of fun, zen outlet to take my mind off from the loss, so I started to crochet a lot – a skill she taught me when I was a child. In fact, I used this technique extensively in my first designs. My older sister had then showed me how to thread wrap, so I dabbled a bit in that too. Creating jewellery was something I did to pass the time. I hadn’t really thought about taking it further. I was freelancing at the time and thought: “Hey, maybe I can actually sell my work to bolster my income.” So I put it out there, and to my surprise, there was an interest. No, I only have basic sewing skills that I picked up from Home Economics classes while in high school. That’s when they still had somewhat outdated ideas of what young women should learn. LOL! What was the very first piece of jewellery you sold and how did it make you feel? I can’t really recall… I think it was crocheted hoop earrings. Although, I do remember the feelings quite clearly: Surprise. Excitement. Confidence. Inspired. All in that order. How do you tie tradition and culture in with your beautiful designs? I don’t really. I’ve been trying to bring shweshwe fabric into today and modernise it as much as possible. I want it to be seen as everyday attire, rather than just for weddings. My designs can be worn at weddings, but I would also like for them to go beyond the formal traditional setting and be worn casually as well. Having too much on my plate. 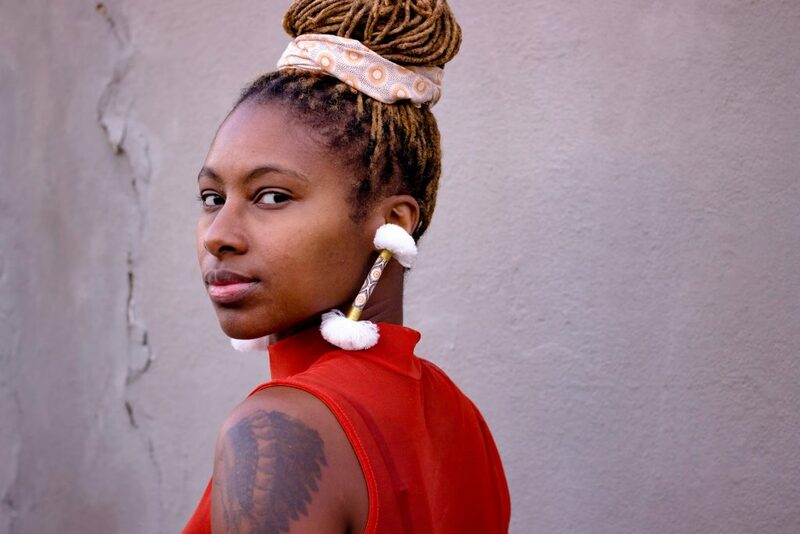 I am currently the product developer, seamstress, photographer, editor, model, social media manager, website administrator, bookkeeper and more for Nomi Handmade. I have to remind myself constantly to take a break, and that the world won’t end if that Instagram post does not go out today. Another challenge has been breaking into the local market. I find that most of my sales are from American and European buyers. I haven’t figured out how to overcome this yet, but I will keep trying. Many mornings involve researching materials, techniques, and suppliers, etc. Then there’s a lot of cutting of fabric, rope and thread for wrapping, as well as loads of sewing, sore fingers, many mistakes and a lot of waste! LOL. Showing my work to people every day. Starting a workshop – This has been the scariest because I am essentially sharing my intellectual property with strangers every week. I try to safeguard myself by not showing them the entire production process and only demonstrate how to make core products. I have to let them down gently when they want me to take it from the top or show them a style they saw on my website or in my home studio. Experiences – I’ve gained as a Senior Content Manager. My boyfriend, Shinji Akhirah – He taught me EVERYTHING I know about photography and Photoshop. He takes most of my lifestyle shots for me too. The 4-Hour Workweek by Tim Ferriss (as well as his podcasts) and Profit First by Mike Michalowicz. The first book actually emboldens my feelings of wanting to leave the 9-to-5 life and pursue this jewellery hustle full time. The podcasts (and Shinji) help to keep me going when I falter. The second book has taught me some important lessons on how to save for the business and pay yourself as a business owner – I struggle with this part still, but I think it’s more a matter of staying disciplined. How people respond to my products. The workshops. It can get a bit lonely working on my own, so I really look forward to seeing a new face and the conversations that take place during these short visits. I also love meeting people from all walks of life and all the corners of the world. There so many amazing stories of people who are living contradictions (according to social norms). I find a fascinating beauty in that and look forward to a world where everyone can see the beauty in such individualism that comes with varied experiences. No person is like another. We should celebrate our sameness in that uniqueness. When people come to me (of all people) for advice. Say whaaaat? LOL! That is amazing. It must mean I’m doing something right, surely? Hearing “ka-ching” when I get a sale. Not having a steady income. Not being sure if I am doing the right thing by running my own business. Mismanaging my time – not often, but sometimes I do falter. It can be lonely, exciting, overwhelming, fun, inspiring, and strengthening… a friggin’ whirlwind! I’ve learned that support comes from where you least expect it; that everyone who has struck out on their own is going through the same exact struggles; that it’s so important to connect with those like-minded/spirited people regularly so you don’t end up feeling like an island and can stay the course. Sharing our stories with each other is the best way to get through this rollercoaster we’ve boarded called entrepreneurship. You never know how your experiences might help the next person. What has been your greatest entrepreneurial achievement thus far? What goals would you love to achieve in future? Have Janelle Monae wear my pieces and become an avid supporter and brand ambassador. 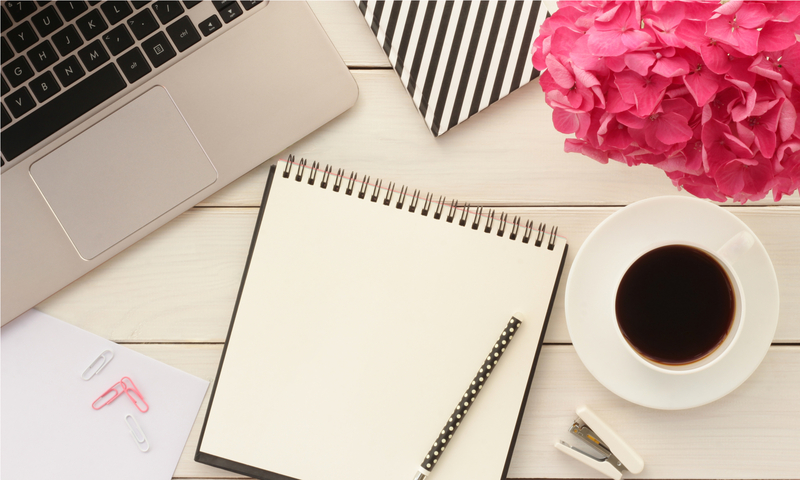 Work less in the brand than on the brand (I’m paraphrasing someone who once inspired me to be a go-getter) meaning that I want to let go of the nitty-gritty of manufacturing, etc., to focus on growing the business. Talk to each other. See how you can help or learn from each other or work together. If you find something useful, share this information with the next person whether it’s an incubator programme or an app, or how to effectively use hashtags… some things may be obvious to you, but others may be clueless. Heels or flats? Heels (in theory). My ankles revolt so I’m forced to wear flats and reserve the former for special occasions or when I go out dancing – because you can really get down in heels! My favourite item of jewellery is… Big, dramatic hoop earrings. They are simple and go with everything. Always anything with drama! My relaxation method: When I’m stressed and can’t sleep, I like to play a puzzle game called Two Dots. It has a way of just switching my brain off. After about 2 rounds, I drift off pretty easily. Super nerdy, I know! Favourite coffee haunt or restaurant: Villa 47 in Cape Town – best tortellini ever! We absolutely love Thandie’s enthusiasm for her craft and life in general. 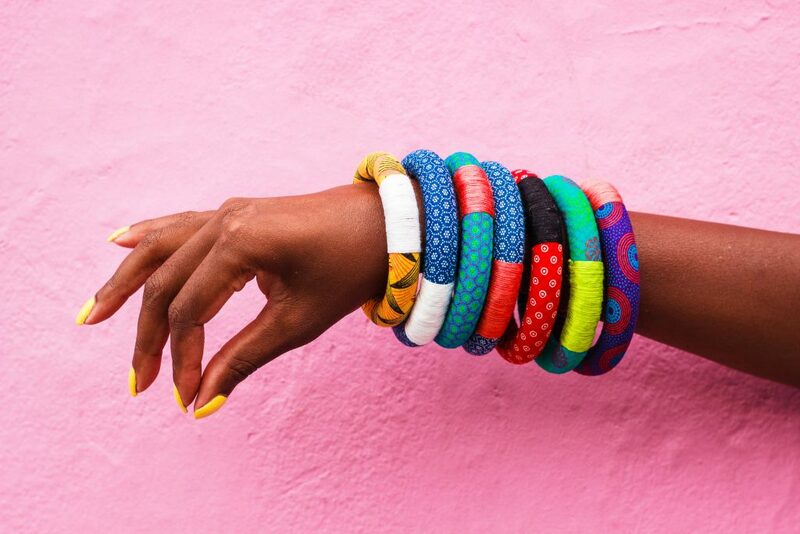 An innovator and accomplished businesswoman, she proudly shares her South African heritage with the rest of the world, offering unique and beguiling designs that are steeped in local culture. 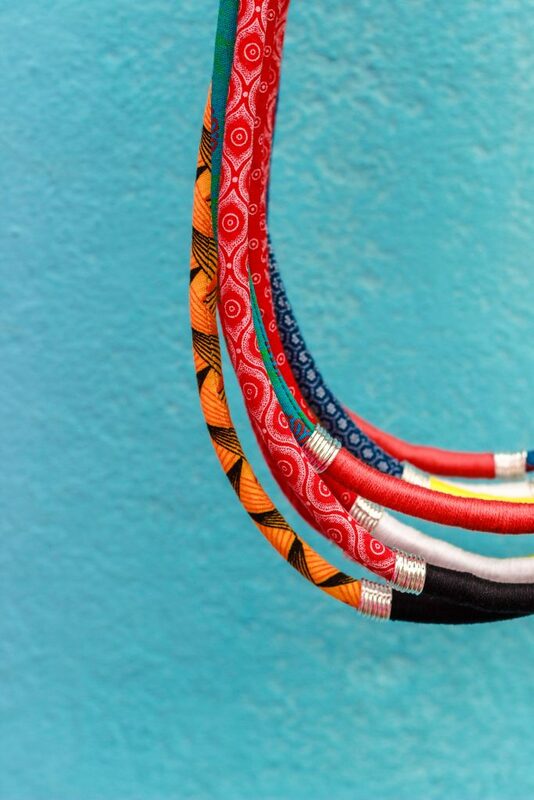 Her awe-inspiring energy and commitment to her trade will undoubtedly lead to the global expansion of Nomi Handmade. We can’t wait to see songstress Janelle Monae wear one of her pieces on the Grammy’s red carpet.